I received a welcome email from my former psychiatrist. He is attending the annual congress for the American Psychiatric Association (APA). He wanted to share a couple of interesting items that were on the agenda. Firstly he told me that anti gliadin antibodies as a mechanism in mental illness was mentioned. This is long overdue as research into wheat and severe psychotic illness dates back to the 1960's. 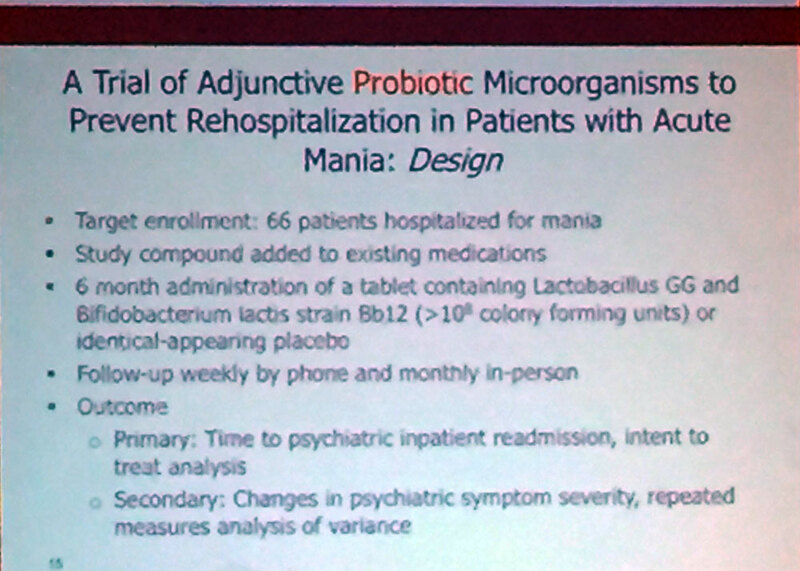 Second, he shared some slides regarding a trial of a probiotic as an adjunctive treatment for mania. 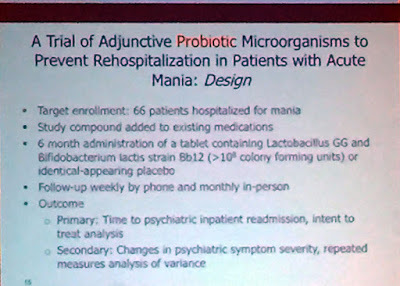 The patients were given a probiotic containing Lactobacillus and Bifidobacterium in addition to their existing medication (because of course stopping psychiatric medication is never an option). 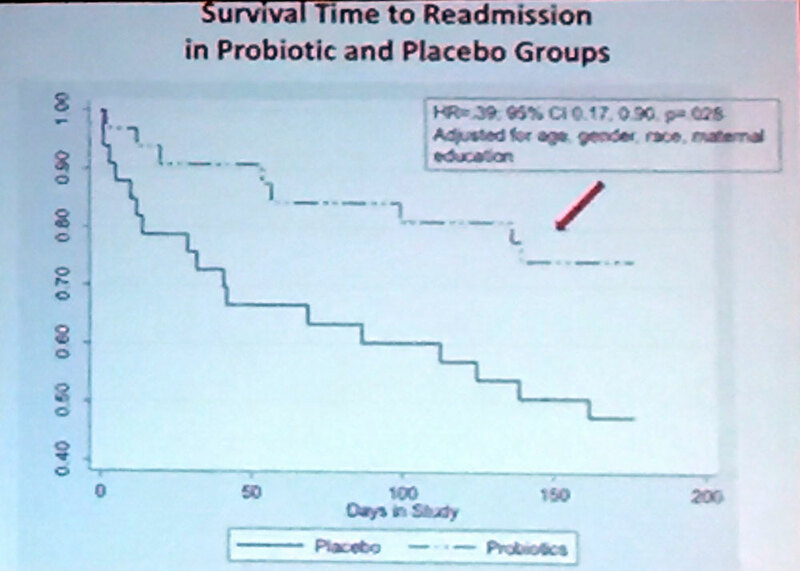 The patients took the priobiotic for six months. 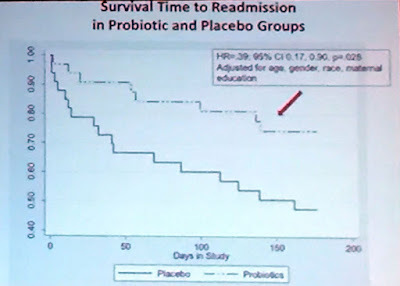 The results were conclusive: those taking the probiotic had a longer mean time before readmission to hospital and the readmission was for a shorter period of time. Of course this is nothing new; Dr Emily Deans has been writing about this for sometime. What it does finally show is that this is finally getting into mainstream psychiatry. However it's far too early to celebrate. 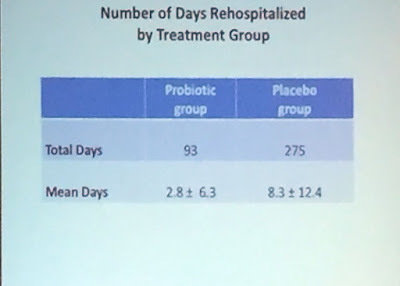 No one has asked WHY these patients health improved or looked at other factors such as adhering to a gluten and diary free diet or increasing nutrient density in their diet. There was no investigation into the underlying aetiology or investigation of biological markers. It is well understood that poor diet and lifestyles as well as autoimmune diseases can lead to very poor gut health, however whether the health of the gut flora is directly linked to mental health, or whether it is an antibody produced in the gut that causes symptoms that manifest in the brain is still not understood.